The Health Minister is currently deciding how to best address children’s poor health due to diet-related diseases. It is a good time not only to consider the content of the proposed approaches, but also to reflect on the regulatory frameworks that can be used to support those approaches. To aid in this reflection, I draw on my PhD research that explores how policy decisions have been made regarding front of pack food labelling, and how groups and stakeholders have engaged in this policy-making process in Australia, New Zealand and the United Kingdom. Front of pack labelling (FoPL) is the nutritional information on the front of packaged food that helps consumers make informed decisions about their food choices. Discussed below, there are several key similarities between the FoPL issue and the issue of restricting junk food marketing to kids. 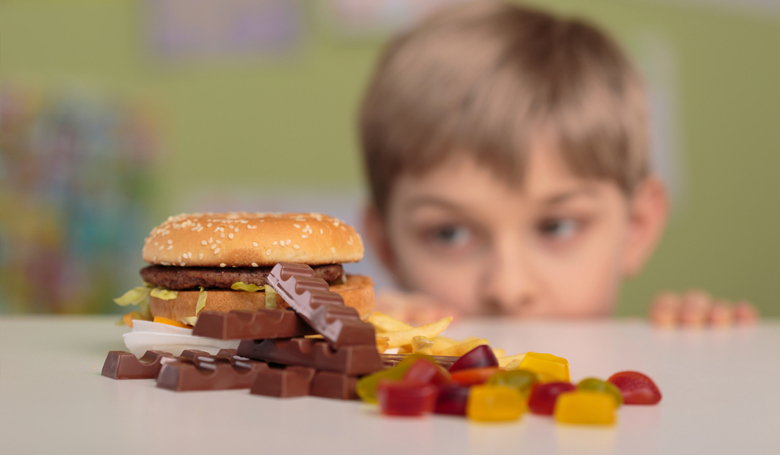 In this article, I explore how lessons from FoPL regulation could help New Zealand strengthen junk food marketing restrictions to children. I couldn’t agree more with this reflection when it is applied to food policy. Everyone seems to ‘get’ that politics is messy, convoluted and nebulous. Then why do we assume that policy (if you believe these two things are different) should be straightforward? Often we only see black or white policy options — for example, mandatory or voluntary regulation. However, fixation on such simple dichotomies can sometimes result in a stalemate when opposing coalitions disagree on which option is best. Instead, a compromise solution, which may not be the first choice of stakeholder groups, may produce better outcomes for consumers and public health. Take the current issue of junk food marketing to children. Food marketers are keen to maintain the status quo of voluntary marketing codes. However, many experts, parents and action groups are pushing the government to step in and regulate. The policy solution need not be black or white, mandatory or voluntary. A commitment to co-regulation is another—possibly more productive and effective—approach. Co-regulation sits between formal, government regulation and voluntary codes, but clarifications about who is involved or the governance arrangements can be pretty fuzzy. Co-regulation could be a third-party or regulatory agency verifying industry-developed codes, or maybe the government threatening mandatory regulation if stakeholders fail to reach certain goals. The key here is that legislation is not the only way to ensure action— government-facilitated collaboration or creation of competition, pressure or incentives can also achieve desired goals while enlisting little or no true ‘regulation’. In fact, many public and private stakeholders see potential for co-regulation to address the challenging, complex problems we face today. The move toward co-regulatory measures is already underway overseas, with the shift from ‘government to governance’ illustrating the decreasing reliance on state-centric hierarchical control in favour of greater collaborative governance. For example, the Australian government recently tried a new way of engaging stakeholders to develop a front-of-pack food labelling (FoPL) policy that wasn’t mandatory, yet had the input of a wide range of stakeholders. As with the junk food marketing debate, many industry groups argue for voluntary FoPL, while most public health groups advocate for mandatory FoPL. In Australia, the government told these two interest groups to negotiate a labelling solution. A senior health official was assigned as a facilitative leader and future regulation was threatened if industry compliance was unsatisfactory – incentives for a productive co-regulatory development process. Drawing on this research about FoPL co-regulatory approaches used in Australia and several other countries, I’ve identified six keys to co-regulatory success that the New Zealand Government could apply to the junk food marketing dilemma. Involve the right people — Involve people from across the board, such as advertising authorities, industry groups whose products will be affected, and public health groups to ensure alignment with public health goals. ‘Taking everyone along with you’ in the development process is key. But when it comes down to it, you don’t invite groups to the table, you invite people. Make sure they have the authority to make decisions if acting on behalf of an organisation. This will enable decisive action when the groups come together and will cost less than a drawn-out process. Commit strong political will to the issue — Why would groups be motivated to give up their entrenched positions if the New Zealand Government doesn’t seem to care about the issue? By sending in a senior official with some clout, stakeholders will have more confidence that this is the real deal and that they need to cooperate to find a compromise solution. Set up clear governance arrangements — The policy may not end up being fully mandatory, but it needs to be clear who is making the final decisions. It’s okay to delegate responsibility in order to utilise expertise, but make sure everyone is on the same page about roles, responsibilities and decision-making authority. It will also help to clarify how these new governance arrangements will work within existing governance structures. Ulitmately, however, the New Zealand Government has authority to change the rules of the game if groups are getting derailed. Lay down the terms of reference — These need to be clearly understood and agreed to by all groups involved. What is the purpose of the policy? If it’s framed as an advertising issue, then industry expertise is needed. If it’s framed as a public health issue, then public health expertise is needed. Want to involve both sectors? Frame junk food marketing as an advertising issue addressing a public health need, and you legitimise the participation of the both types of experts. Beyond this, clear terms of reference will tell stakeholders exactly what’s on and off the table for negotiation. Taking bothpolar options off the table will level the playing field by making both coalitions move away from their entrenched positions. Don’t let the perfect be the enemy of the good — Ultimately, years spent perfecting underlying criteria might mean extra decades of junk food ads to kids. Sometimes getting a bronze medal is better than going home empty-handed. This may mean both sides need to give a little, and having a respected official in charge can help this process. Keep decision-making contained to the group — If you have to wait on anyone — from the board of some stakeholder group to the obscurely-related Ministry — get them involved instead. And there’s no point having a Ministry or group lead this collaborative effort if they can’t make final calls about junk food marketing. It just means one more link in the chain where ideas developed by the collaboration can get ‘transformed’ or downright lost. Public health groups are making a case for restricting junk food marketing to children, the public are highly supportive of tighter restrictions and things are moving in this space internationally. It’s a good time to start doing something about this issue. Co-regulation may lead to a faster change and hence more effective public health outcomes. One co-regulatory approach is for the government to lead as a facilitator committed to getting an outcome, with both the food industry and public health groups stepping up to the plate, making compromises and agreeing on a feasible solution. Acknowledgements: Aspects of this article have previously been printed on the Public Health Expert blog, and the author kindly thanks the blog’s owners for allowing this republish in the Briefing Papers. 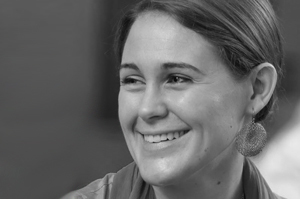 Amanda is a current PhD candidate in the Health Systems section of the University of Auckland. Her thesis explores the policy development process of food labelling regulations in several different countries. Her research is motivated by the drive to understand what factors influence policy-making and to explore how usable knowledge can be produced for stakeholders engaged in complex policy issues. Prior to her PhD, Amanda completed her undergraduate degree in the United States before coming to New Zealand on a Fulbright Scholarship to complete her Honours and MPH. She has recently blogged at Public Health Expert and Public Address.